Obituary for Kendranetta M. (O'Neal) Stevens | Minor-Morris Funeral Home, Ltd.
Kendra Myshell O’Neal-Stevens was born August 14, 1976 in Tuscaloosa, Alabama to the parents of Leodis Thomas and Bonnie O’Neal. Kendra accepted Christ at an early age at St. Paul M.B. Church in Tuscaloosa, Alabama under the leadership of Pastor Jerry Seay. Kendra later became a faithful member of St. John M.B. Church in Joliet, Illinois under the leadership of Pastor Herbert Brooks, Jr.
Kendra attended Central High School in Tuscaloosa, Alabama and received a bachelor’s degree in Criminal Justice at Governors State University. She retired from the United States Army in June of 2015 after serving 20 years. Kendra was employed for 20 years of dedicated service at Illinois Youth Commission (I.Y.C.) Joliet and relocated to I.Y.C. St. Charles, Illinois. As a faithful employee, she received many certificates of accomplishments. She also received her nursing certificate. She served diligently as a member of the Lebanon District. 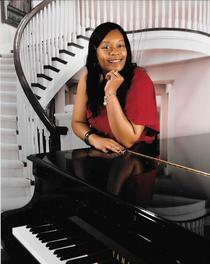 She was also a faithful member of the National Hook-up of Black Women, Inc., Joliet Chapter. Kendra was preceded in death by her great grandfather, Jessie O’Neal; grandfather; Manuel Coleman; cousin; Kerry O’Neal; father-in-law, Judson Kelly; brothers-in-law, Danny Stevens, David Stevens and Jeff Wright. Kendra was called home suddenly to be with the Lord on Wednesday, February 6, 2019.